SEO or Search Engine Optimization is a major factor in the success of business on the web all over the planet. There are millions of SEO experts out there and 10s of millions of clients all vying for the top spots on the search engines. 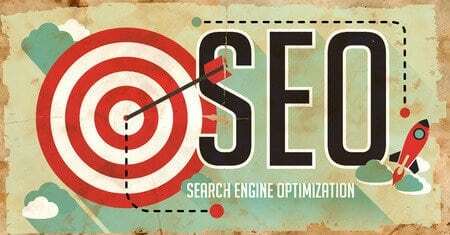 The SEO expert is not only burdened with keeping up with the latest technologies and tactics, but also with the unrealistic expectations of clients and this calls for education and making sure the clients realize that what they want may not always be what they can get. Clients can be a royal pain in the SEO business. Far too many are half awake in regards to what SEO can and can’t do. Some see an ad or some social media message or some armchair gossip about how such and such a company can get their company listed in the top positions on Google in a day. This is all nonsense but clients do show up and many of them a bit to bossy making demands that are totally unrealistic. The pro level SEO expert is aware of this and knows how to handle them. Sometimes however a potential client or existing client has to be let go when they just don’t get it. SEO takes time depending on a variety of factors and the client must know these in order for them to rest easy. They’ve got to realize that things don’t happen overnight unless they’ve a product or service that is so exclusive and viral that basic content has enough momentum to boost them up and they still need an SEO pro to maximize their gains. Pitfalls and challenges are many. Clients have to realize it takes money to make SEO work especially if they’re battling for competitive keywords and brand recognition. It’s no cakewalk but slow and steady is the way this works. Bidding for keywords, keyphrases, keygroups can be costly and time consuming. The SEO pro has to spend countless hours analyzing up to the minute data and acting on it with lightning speed. The battle can be fierce but even if a client doesn’t get the top position, they’re going to get their money’s worth in the short and long term. Clients have to realize that there are some big players out there that have immense budgets and teams of people working round the clock to best the competition and your client has to know they’ve got to let you, the SEO expert go for broke without any interruptions or irritations. There are just some people you cannot service and in SEO that happens and the SEO pro had better know when to tell a potential client or present client when to call it quits. Some bosses and managers act like the SEO pro is like the butler or maid and is supposed to snap to and make miracles happen because they’re being ‘paid’. The SEO pro would be doing themselves, the client, and the rest of the web a big favor by putting their foot down and excusing that kind of client and moving on. Remember, the SEO pro is hitting things on several levels. They have to evaluate a client’s websites and blogs, educate the client, analyze statistics, hunt for valuable keyword opportunities, adapt to new algorithms and software and keep on top of the latest industry trends and news. It’s a brow wrinkler of a profession and getting things made clear to a client from the start, using manners and no losing one’s temper, is a sure step in the right direction. All in all, it’s a team effort and your clients have to understand this and agree to it accordingly if the best interests of one and all is to be gained.